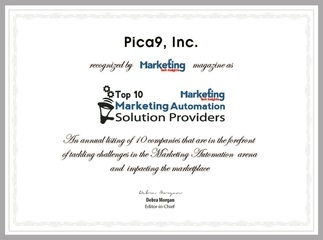 Marketing Tech Insights, a leading publisher of marketing technology news and reviews, recently announced that Pica9 has been included in its Annual ranking of the Top 10 Local Marketing Automation solutions on the market. Pica9 was recognized for its role in helping CMOs and brand marketers make their marketing more effective, efficient, and accountable. The publisher has said that Pica9's CampaignDrive solution is one of the best platforms available that enables brand marketers to increase the scale of their local marketing efforts without needing huge budgets. "This latest accolade is another confirmation of the great progress we've been able to achieve in bringing the power of marketing automation to distributed marketing organizations," said Pica9 CEO Kevin Groome. This year Pica9 has been named by Gartner, NG-DATA and others as a top provider of local marketing automation solutions. 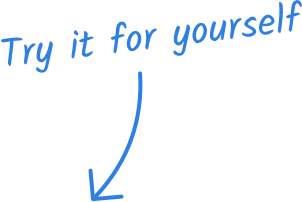 "The Marketing Technology Insights mention shows how effective CampaignDrive is for these brand marketers," said Groome. "Everyone at Pica9 is excited to continue the work we've begun to create the marketing technology products that brands truly need." See the entire profile in the latest edition of Marketing Technology Insights here.